Available for most digital formats. Check the menu board for links and prices. From the Northeast of England to the Southwest of the United States, a young woman determined to keep a deathbed promise and bring home her only living relative. 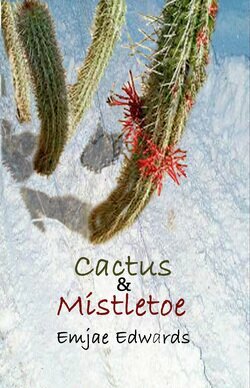 In her pursuit of her late sister's son, she finds herself spending Christmas surrounded by cactus and strangers in an earthship beneath the Arizona desert. Scottie McArdle had a police pedigree. The blue was in her blood, her devotion was to the badge. There was nothing else in her life but the People of New York City, until the day she found herself in the line of a different kind of duty; meeting a man who wanted her to protect him from himself, to serve his need not to die alone. In exchange she would have wealth, power, children, but no love? Can she stop serving all to serve one? Daire Arlen's grandfather left her a house in Northern Ireland, but it was far more than just four walls and a hearth, it was passage back to her heritage, a chance to pull the curtain back on her past, to see more than just the roads and hills and shops in the country where her father was born. It was a chance to dip her soul in the magic of her homeland. Sitting upon that family stone was another gift from her grandfather, perhaps the one man in the world who could teach her to appreciate the house, the country, the magic, to teach her what it means to be Irish. This book is a birthday gift to my two favourite Leprechauns. On Sale Now in print $6.99 Use code 8JYEJC4X for 15% discount. Fran Smith has always lived in the shadows of her good looking parents, and their larger than life tragedy. Plain, quiet, hardworking and devoted to her mother, Fran's never aspired to anything more than being a good daughter. 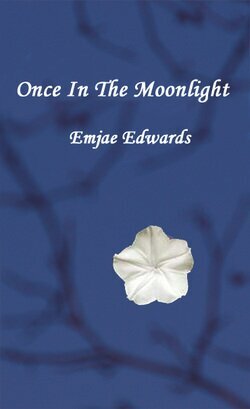 When she wins a trip to the place where her mother grew up, Hawaii, she cannot believe her good luck. When Cricket Royal sees his former lover, his brother's wife, the woman who absconded with hundreds of thousands of dollars and abandoned a two year old daughter, he cannot believe his good luck. When Fran tries to convince him that she is not the woman he both hates and loves, he cannot believe her. In his eyes, Fran Smith is the mirror image of the woman who left his family years ago, her pockets lined with stolen money and not even a backward glance at her child. If she cannot convince him, Paradise might very well become prison. And if she cannot steel her heart against his charm, even if she escapes, she'll never be free. On Sale Now $7.99 for print format. Use code 8JYEJC4X for 15% discount. Garnet Steele (yes, it sounds like an engagement ring) has a very orderly and satisfying life. She loves her career, her friends are as well chosen as her art work. She travels, she shops, she keeps very, very busy. There is no room in her life for men, for romance, for love. And then he returns, the man who broke her heart. He muscles his way in and disrupts everything in her tidy world. While he is knocking down all the walls she has so carefully constructed, someone with a grudge against her company threatens to knock down far more. On Sale Now $1.39 in several digital formats NEW PRICE!